For many years a log blocked the view of Oregon's Beautiful Punch Bowl Falls, but it finally washed out in the winter of 09'. I rendered this image of the falls in spring after heavy rains fell the night before. 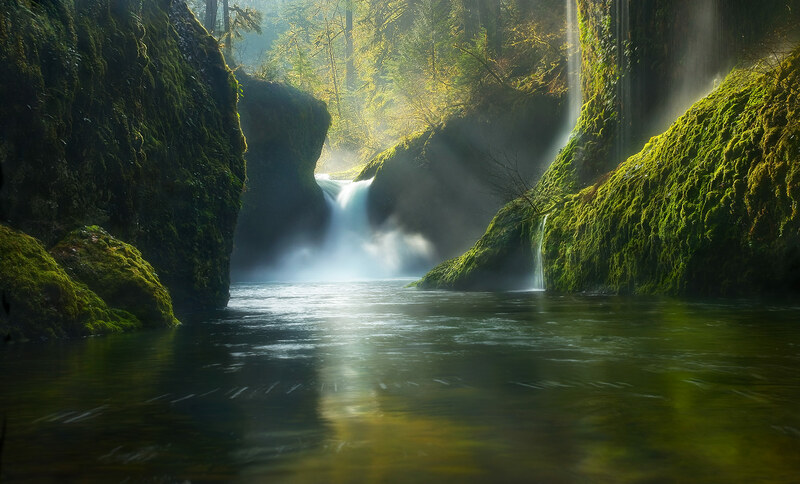 The light and smaller falls on the side make for a unique image of this Oregon icon. Photo © copyright by Marc Adamus.